The E-book is an effort to help you excel in your entrepreneurial journey OR we love to say heroic journey. You might be familiar with creating high quality lessons, worksheets etc. for your class but might feel a little overwhelmed with the concept of offering these resources to educators who can use them in their classes too. Every journey starts with the first step and we are glad you took that first step. In this book, we will answer a simple question: How should I get started with my entrepreneurial journey with my awesome products? Remember, the first step is always to get your mind ready. Once, your mind is ready and is aligned in the direction you want to go other things will come easy. So, believe in yourself and let’s go! In order to support you as a teacher we have setup a university with FULL SCHOLARSHIP to all. Yes, you just won a full scholarship so take all the benefits and give yourself a clap. How many time you bought a book based on its Cover Page, Brief Description or Table of Content? Almost all the time because no one reads the whole thing and that’s the point we are making here. Product Description: Write a genuine and concise product description. Again, think like a buyer and point out things that made you buy a certain book or a product. You can certainly point out many products which had an unclear description and made you uncomfortable buying it. On the other hand, I am sure you still have many products that you bought because after reading the description you felt relaxed and confident that you got what you were looking for. Now, ask yourself which one are you going to refer to others and which one are you going to trust more. Simple answers to simple questions. Point is that when you write genuine and concise product descriptions you earn loyalty points of your buyers. They trust you more and want to buy more from you. They love you for helping them find what they needed and will certainly return. So, bottom-line is to write genuine and concise product description that describes your product accurately and clearly. Extra credit: When you write original and rich product description you help yourself stand out in search engines like google, bing etc. Include important keywords in your description, like “Lesson plan”, “Middle School”, “Math Worksheet” etc. to help the search engines find you easily so that they can display the results to the potential buyer who is searching for resources on one of these search engines (Avoid “Keyword stuffing” because they don’t work and google can penalize you and us for doing that). Search engines are there to help you and your buyers connect. I will have another class on “How these search engines work and how you can take advantage of this free tool”. For now, remember that what you write is what people will read and so be accurate and original. Product Titles: The should be descriptive and should be easy to interpret. Make it easier for the buyer to understand the content through your title. Buyers find it difficult to choose between items with similar titles so make it relevant but at the same time a little different from the others. Product Previews: Product’s preview is a good way of showcasing your offering. Some buyers feel more comfortable buying a resource after looking at one or two pages of the content to make sure that their dollars are going at the right place. Again, force yourself to think like a buyer. If it’s a one or two-page document, then do a detail product description and include things you believe a buyer should know before the purchase. Now, let’s talk about quality. Will you buy a car that has everything but no seatbelts or maybe missing headlights or maybe no wipers? Woops! Yes, even though none of these missing items affect the car’s actual purpose of taking you from point A to point B, you wouldn’t want it. Even though it’s a second-hand car you would prefer getting these fixed before using. That’s right. Quality and completeness is a key for any product to sell and you are no exception. To create a loyal pool of returning customers and to sustain in your heroic journey this step is mandatory. The awesome part is that you are already very good in this. What you need to do now is to follow these simple steps to ensure the quality and you are good to go! Make sure the content is clearly written, no typos and no grammatical errors. Have it proofread by one, two or three people you think can help you make it better. If you can use it in your class, then do it because then you’ll be able to sell it with even more confidence. Include in your product description about it being used in your class. Post only complete lessons, units etc. that buyers can use directly and are not required to make another purchase in order to implement the product. Analogy : You don’t want to sell a blueprint of a car or a car with no tires but the car with full gas tank so that they feel awesome and can drive it right after their purchase. Include a table of content, answer keys, a supply list, and clear instructions for use. Add a rubric or grading checklist if your product has opinions or open-ended items. Make sure that what you are selling is your own so that the teachers can use them without any copyrights or trademark issues. New to copyright and trademark? Don’t worry, we have you covered with great resources to help you charter these unknown waters like a pro. Tag your products with appropriate categories and grade(s). For example, “Lesson plan”, “6th Grade”, “Math”. This helps the search engines present your content to the shoppers when they are browsing for something that you have to offer. Extra Credit: Don’t over tag because it will only confuse search engines and they might think that your content is too generic and not very specific to the shopper’s need. Remember, the search engine is trying to help shoppers find what they need and so it’s important to help the search engine understand what you have to offer. Search engines are not human like smart (Yes, we are smart J) but they are still pretty smart. Okay, by now you understand the importance and the need of quality resource, the packaging, cover image etc. Now, let’s talk about your store. First of all, congratulate yourself to reach here!! Not, everybody can do what you are doing because it takes thinking out of the box and the self-drive. So, yes congratulations and be proud of what you are doing. Brand: Get inspiration from Apple, Walmart, Amazon, Skype or Ferrari. Although, they all offer different products they have one thing in common. The have consistent brands. Confused? Okay, let me ask you few questions. What color comes in your mind when you think of Ferrari? Is it RED? What is the first thing that crosses your mind when you think of Walmart? Is it cheap/under budget? One more question: Am I reading your mind? This is the power of a strong brand. A brand is something that takes time to build and the results are not instant. People slowly start recognizing you as “something” as soon as you are out presenting. You have an option to control that “something” and present things in ways which are consistent with how you want people to remember you. Define your audience. Are you creating resources for English teachers or Math teachers or someone else? Know what are your strong areas and focus on that. Don’t say, you can create resources for everyone in K-12 because then you just generalized yourself. You might be great in all but present yourself as a place for premium content in an area which is your strongest area (you can always add resources of other categories too). Define two primary colors for your brand and two secondary colors. Use these all the time and everywhere. Create a one-line message for your store and live up to that message. Example, EdHero “The Teacher’s Best Friend”. We do our best to live up to our motto. Create one for yourself. Define typography. Select one typography that you want to use. Search for Walmart Branding style guide on google and get some inspiration. Profile Pic: Use a sharp and friendly profile pic that is inviting. If you are representing a business, then use your logo or mascot of your business as your profile pic to boost the brand and create an identity. Don’t use scary photos. The goal is to build trust not scare people to death! Categorize your resources such that it’s easy for people to find them in your store. People have a short attention span and they like structure. As soon as they find well-structured items they feel safe. Organizing your items and putting them under correct categories will help shoppers find right resources in less time which will increase the loyalty points of your customer. 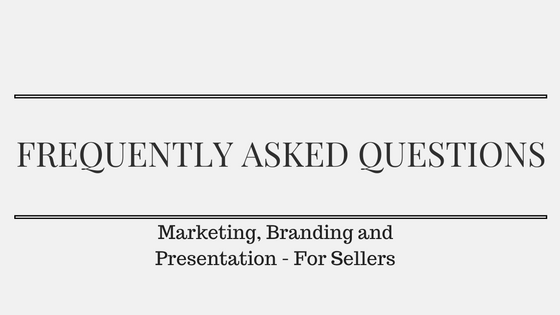 Answer customer questions as soon as possible. Understand that a negative feedback is not a personal attack on you. It’s the feedback on the resource/product that the customer bought. Improve the quality of the resource or whatever the feedback says and you’ll see they’ll be more than happy to give a positive feedback. Every new venture comes with its own ups and downs but do remember that when you are starting at zero you have nowhere to go except up. Stay calm throughout your journey and keep believing in yourself because that’s what will drive you. Building your own business is fun and it takes time. It’s like starting your car during winters which sometimes could be frustrating but when the car is all heated up and hits the road you feel good and the next thing you do is turn on that music and tune in to your favorite channel. Trust me the journey will be awesome. Keep believing and keep moving forward because that’s where you are destined to go. Continue to be a Hero with EdHero. This Holiday Season You Might be the ONLY Source of their Happiness..